French Game Designer living in British Columbia, Canada. 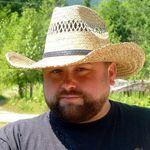 Active in online gaming discussions and forums since 1999, Benoist Poire was a liege for the Iron League, the official fan website for Monte Cook Presents: Iron Heroes and ran live games of Ptolus and Arcana Evolved (mid-2000s), with a dedicated blog at The Praemal Tales. In the late 2000s (2007), Benoist Poiré entered the "Old School" D&D scene, running games of Original Dungeons & Dragons using his homebrew "Dunfalcon" (heavily modified Greyhawk) game setting. He became a contributing author on Robert J. Kuntz's Lord of the Green Dragons blog. Benoist Poiré is an administrator on The RPG Site and posted there a series of Advice to build the mega-dungeon and the campaign around it. Benoist published his first formal adventure module in AFS Magazine Issue #3. He is currently working with Ernest Gary Gygax Jr. on the Hobby Shop Dungeon, a large fantasy game setting in the tradition of Blackmoor, Greyhawk, and El Raja Key.